Saturdays Muse Road Runner-Why Not? I saw this photograph show up in my Facebook feed. I wish I had been lucky enough to take this great shot but alas I will have to settle for this. Which, isn't all that bad, since I'm from New Mexico and this is the State Bird. 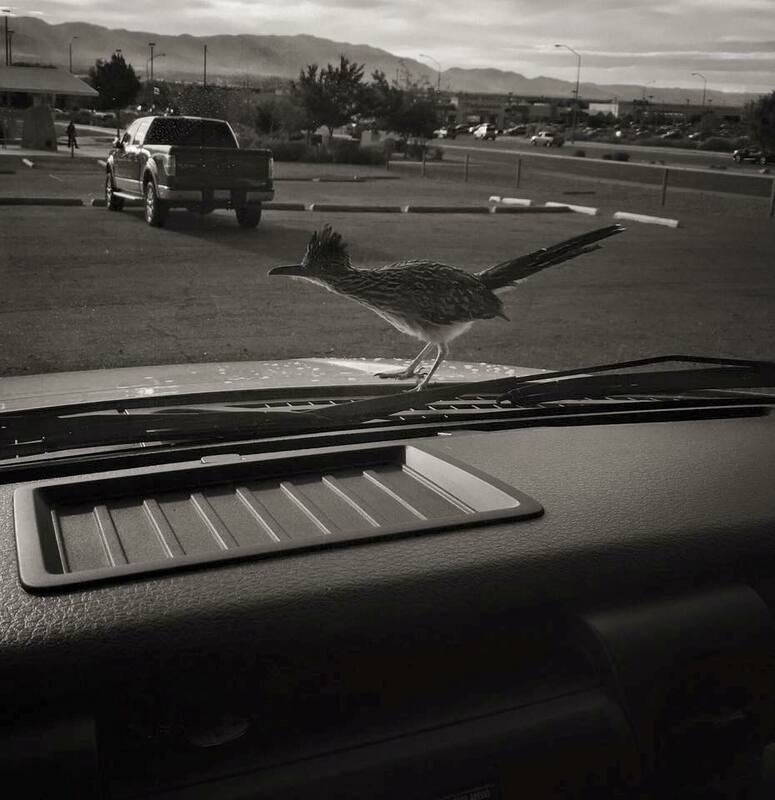 You see Road Runners in Texas, sure but for some reason they don't seem to carry the clout that their cousins in the Land of Enchantment do. These birds were made famous by the Warner Brothers Cartoons where one of these birds zipped across the desert while an inventor crazy Coyote did everything he could to get a simple dinner. I didn't see a lot of Road Runners in New Mexico when I lived there, but there was a family which lived by a Tennis Court where I taught lessons. Every day we would see them come out of the 'arroyo' that's NM speak for 'ditch' and begin their days looking for food. These birds are meat eaters, like berries and insects. They eat lizards battle rattlesnakes and are curious but never spend too much time in one area, maybe that's where they got the idea for the cartoon. Anyway, I often wonder about those 5 Road Runners living in the heart of Albuquerque NM just off a public golf course. I hope people have left them alone and their offspring survive zipping up and down that old ditch forever.